Ginny in Haiti: School Days! School started today in Peredo! What a site to see all the kids clean, in new uniforms and excited to be there! I love it. But of course forgot my camera! So unfortunately, you don't get to see it. But that's the perk of living here! I get to see the happenings of the mission first hand. 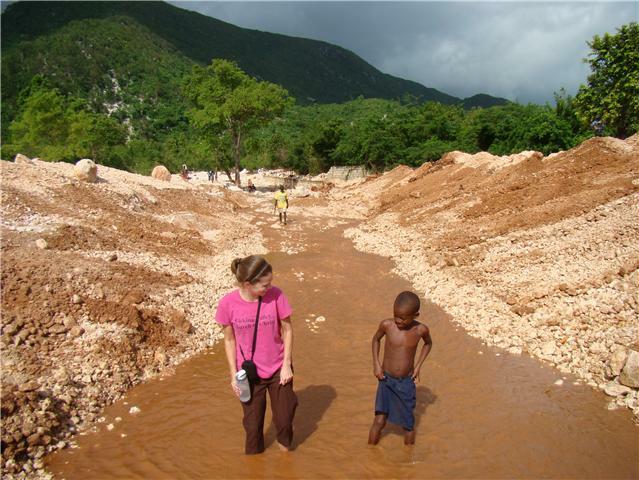 You can too-just become a missionary and move to Haiti. Anyways-wanted to post of pic of the 1st batch of food bought for the kids at the school. Right now they eat the same thing for lunch everyday and don't have a breakfast program. This school year, thanks to VBS donations, extra church support and even a high school fundraiser with cookies (Go Panthers! ), they will have breakfast 2 days a week and a different lunch 1-2 times a week. More pics to come of the kids enjoying the food! This will help their nutrition status tremendously! And make their bellies very happy. Special thanks to the Licking Valley Church of Christ and all the ladies who baked their hearts out for a bake sale fundraiser (and Summer Conley for spurring them on! ), to Licking Valley High School for the fundraiser (behind the scenes of this was Ms Barboza and Tricia Phelps and the LV school cooks), Heath Church of Christ.